London, Dec 26 : Around 80 per cent of Britons are of the opinion that the nine billion pounds spent on the Olympic Games was value for money, according to a new poll. The poll, which was conducted by the Guardian/ICM, showed that 78% of voters believed the Olympics did a valuable job in cheering up a country in hard times, as compared with just 20% who look back on them as a costly and dangerous distraction. The vote of confidence is even stronger than opinion taken at the Games' peak period, the Daily Star reports. In an online survey taken immediately after so-called Super Saturday, on which Mo Farah, Jessica Ennis and Greg Rutherford all took track and field gold for Team GB, 55% agreed and 35% disagreed with the same proposition, the paper added. 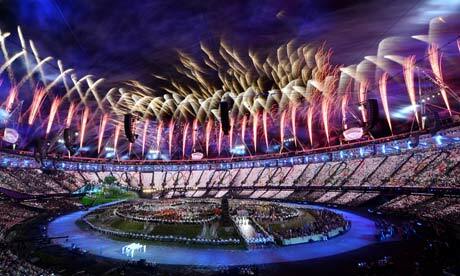 Pollsters, who interviewed 1,002 adults, said the Paralympics may have helped to cement this majority, it added. The paper further reported that some had feared that the Games would be heavily concentrated in the capital and its hinterland, but in fact 79% support in the south was closely matched by 80%, 74% and 77% respectively in the Midlands, the north and in Wales.